There is a reason why the wonderful Greek Islands are always at the top of people’s bucket lists. With its picturesque views, fascinating history, and laidback vibe, Greece certainly knows how to tug on the heartstrings. 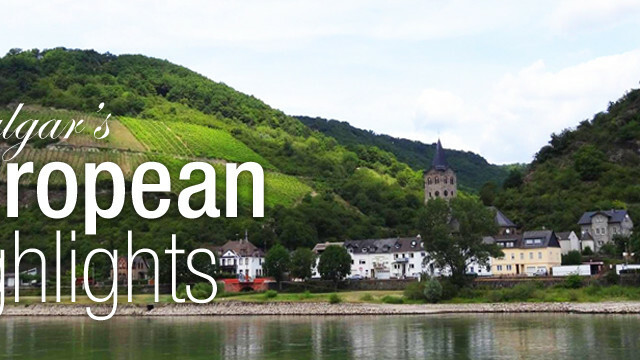 Our top ten travel agents recently had the opportunity to get immersed in its wondrous charm. Today, Stephanie Brucculieri (ext. 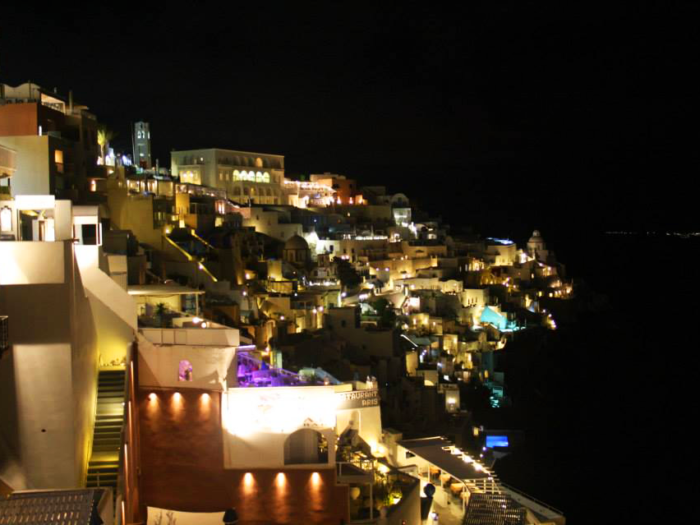 7269) excitedly shares with us some of her favourite things about Santorini, Mykonos, and Athens. 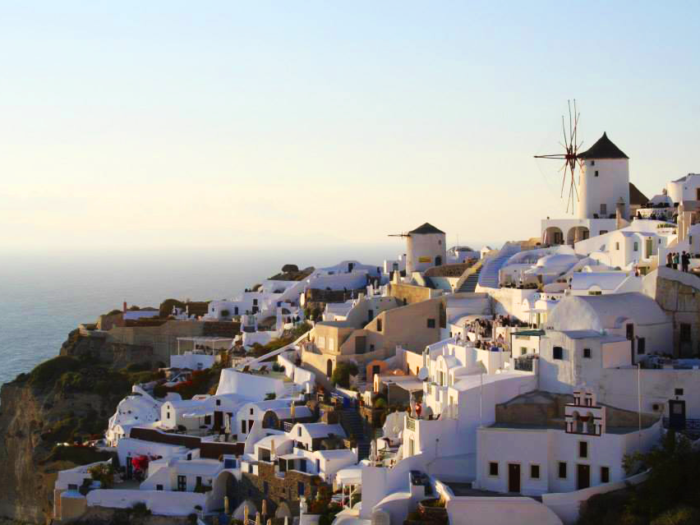 The scenic villages of Santorini are renowned for their breathtaking Oia sunset. 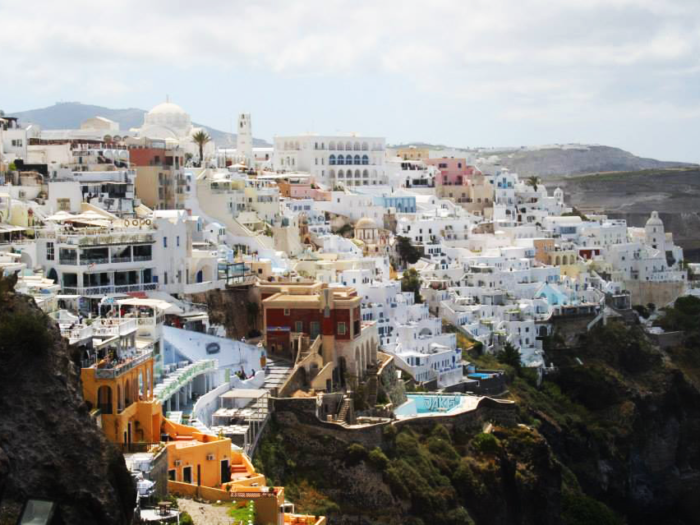 Here you’ll get the chance to sample amazing food, hike a volcano, and shop on the cliffs of Fira. 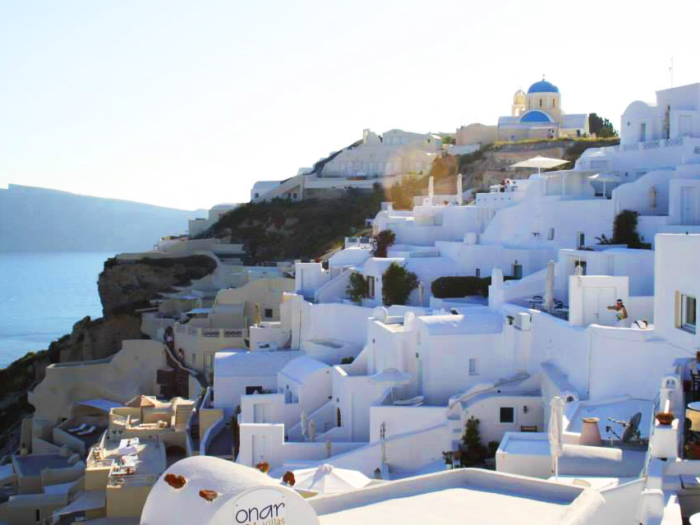 If you wish to experience the Oia sunset, make sure to go early as it can get pretty busy. Find a comfortable place to sit, bring a bottle of water and sunscreen, and make sure to stay patient. If you’re an adventurer at heart, you’ll be pleased to know that there are plenty of tours available to the volcano. 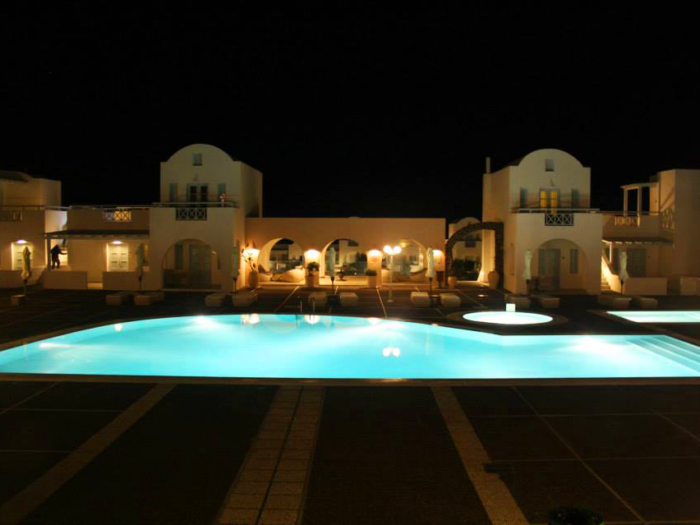 You’ll have to book through the local tourist offices in Fira. Plan ahead of time as they have a cut off time for departures. You may also take a cable car up to the Old Port. Try purchasing a one-way ride and take a donkey the other way. For a delicious but quick lunch, there are gyro huts available on many street corners. 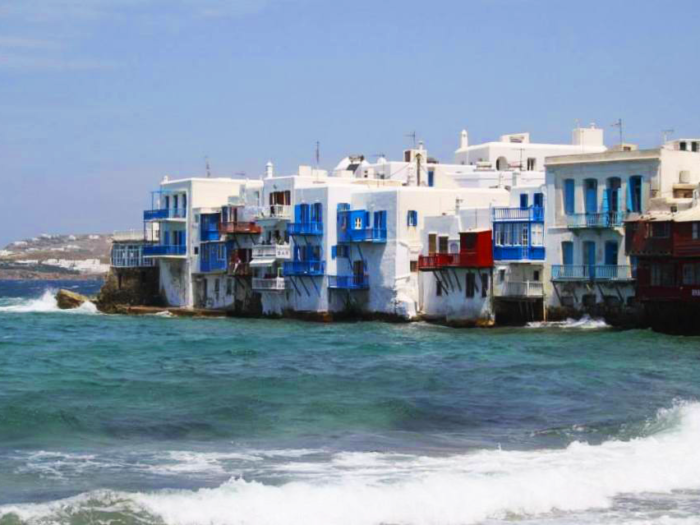 The beautiful winding streets of Mykonos are decorated with crafts and goods, fantastic restaurants, cafes and bars. 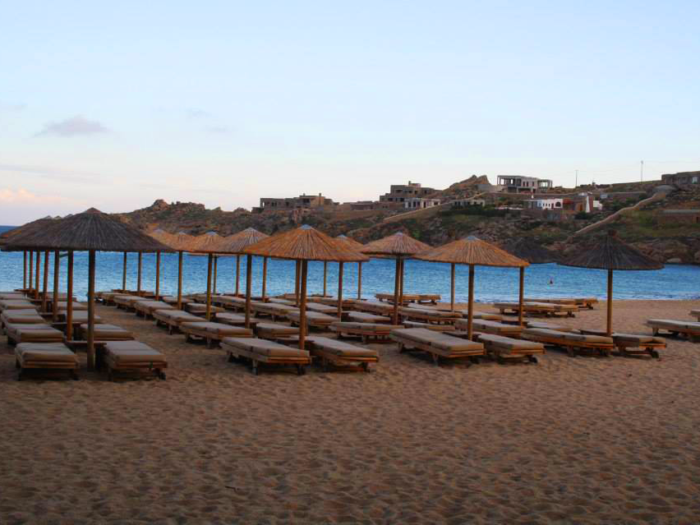 Mykonos offers a selection of beaches suitable for all ages, from the Super Paradise Beach, which is a party beach packed with fun activities all day and all night to Platys Gialos, a family-oriented beach with lots of choices for dining and everything in-between! Note that if you go to the beach, depending on the time of year and size of the crowds, the beach resort may charge extra for loungers and umbrellas. Also try to avoid cruise ship days, to enjoy more breathing room. 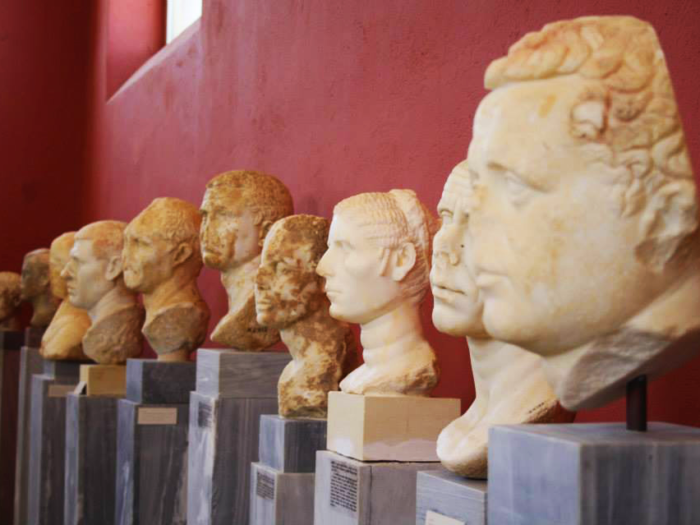 Consider taking an excursion to historical Delos, the birthplace of Apollo and Artemis. 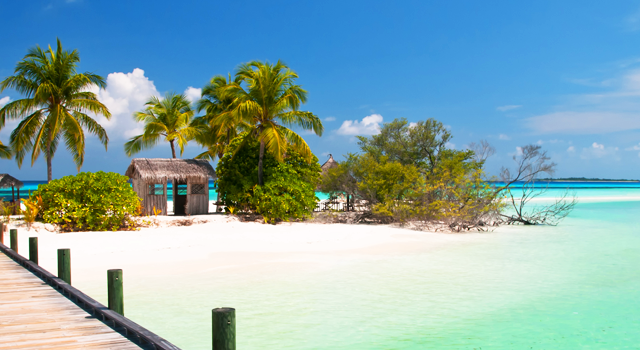 This island is not inhibited by locals for the exception of a few workers. During your visit, you’ll find a small store and a restroom. Again, bring lots of water and sunscreen with you. 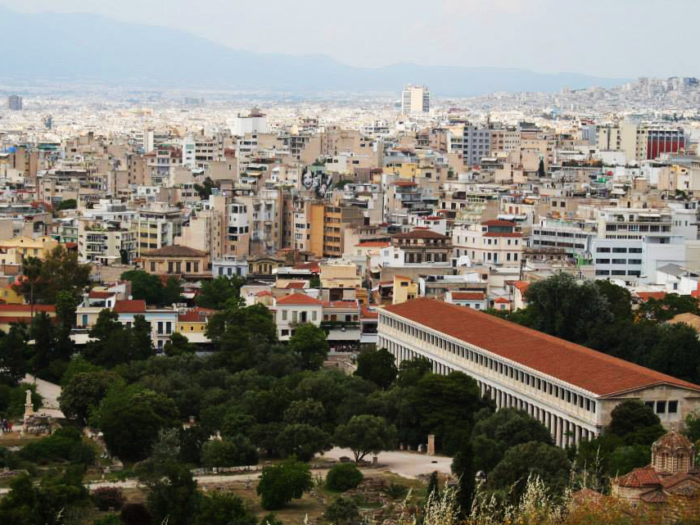 Athens is a vibrant city that boasts one of the most famous landmarks in the world, the Parthenon. The admission fee is approx. 12 Euros; and it features a steep slope of steps, so be wary. I found that the hop-on hop-off bus was an effective way of exploring the city. 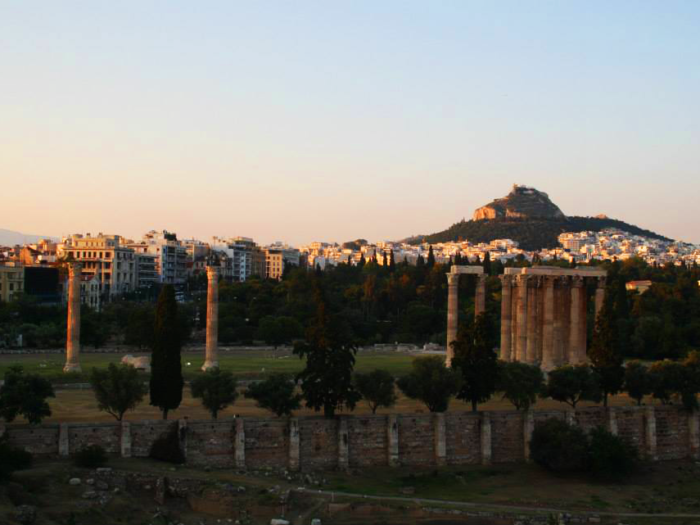 There were also many rooftop restaurants offering amazing night views of the Acropolis. 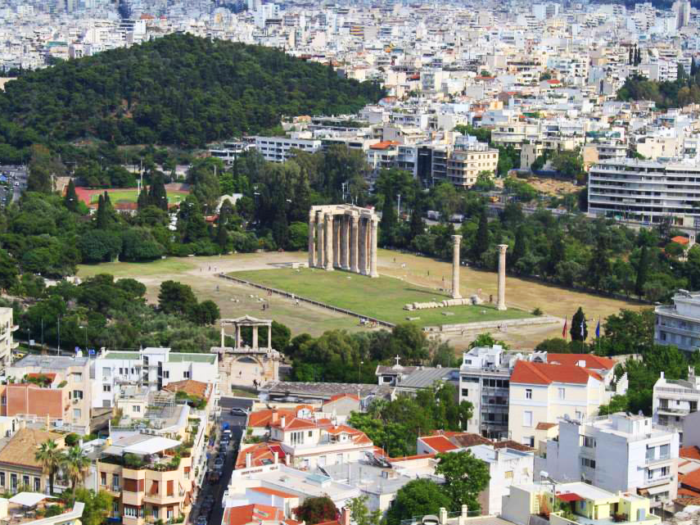 The Plaka, on the other hand, will cater to every shopping desire, with bistros providing the most spectacular view from below the Parthenon. 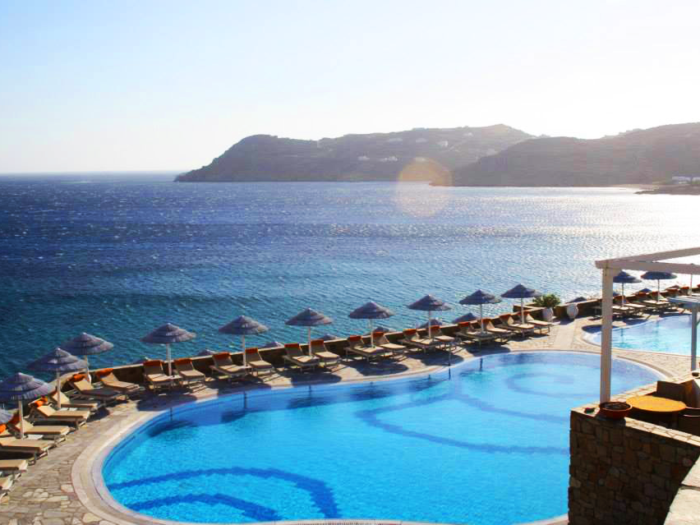 To learn more about Greece packages, call Stephanie Brucculieri at 1-800-66504981 ext. 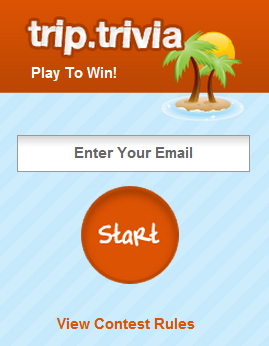 7269 or e-mail her at steph@tripcentral.ca!